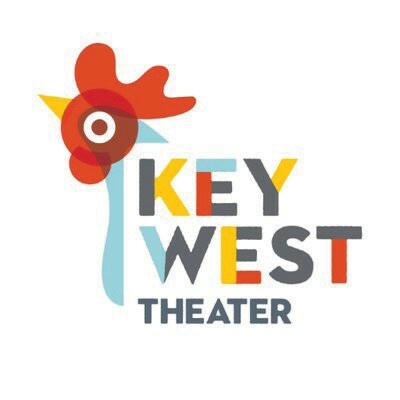 After a grueling year away from Key West, Paula Poundstone is back. When I ask her what she’s been up to since last December’s performance at the Key West Theaters, her response is deadpan: “Embarrassingly, the same stuff.” Clever and self-deprecating, Paula’s brand of humor spans the spectrum from improvisational audience-inspired dialogue to deeply thought-out commentary on the invasion of technology into our lives and her deep love of Double Stuf Oreos, both of which she was able to explore in depth in our short interview. But while “the same stuff” is sort of accurate — she’s still taking care of her 14 cats and attending to the unavoidable “tremendous amounts of sifting” inherent in feline ownership — it’s not the whole picture of a year in the life of Paula Poundstone. A frequent critic of technology, Paula is quick to update me that she’s embraced it over the last year. Sort of. “I started using Instagram,” she exclaims. “I already do Twitter, but Instagram being so picture-y it has very tangible evidence of how dull my life is, how routine my life is. I go on the road, I tell my little jokes. At home, I take care of my animals and I do chores.” Celebrities — they’re just like us! But really — there must be something more momentous than Instagram to have happened since we talked last? “Well,” she hesitates, “Adam Felber and I started a podcast called ‘Nobody Listens to Paula Poundstone.”’ Now we’re talking. Billed as a “comedy field guide to life, or at least a set of IKEA assembly instructions,” “Nobody Listens to Paula Poundstone” finds Paula and Adam using their unique comedic sensibilities to help the Average Jill navigate life in the 21st century. Along with expert guests on topics ranging from surviving bear encounters to analyzing election results, Paula and Adam review films, discuss hypothetical alternate career paths (“Could Paula become a welder?”) and try to make sense of their lives. Though she avoids conversation in the nursing homes, during performances Paula relies heavily on her audience to drive the content of her shows. “You can be the greatest comic in the world, but if there’s not people there to hear you tell your little jokes there’s no point in doing it,” she says. Perhaps surprisingly, a large part of why Paula relies on improvisation and participation and inspiration from the audience is because she, by her own admission, “can’t remember anything.” She divulges, “I’d have my routine all memorized and get on stage and then all of a sudden I would fall apart. I would get distracted or make a comment about something unrelated and lose my place in time.” As a result, she has developed a very interactive storytelling style.